The origins of the game of bridge have been shrouded in mystery... but no longer. Tracing the development of the game and the fascinating characters who played it from whist through to auction bridge and eventually contract, the author reveals the missing link, and demonstrates how the world's most popular card game came into being. 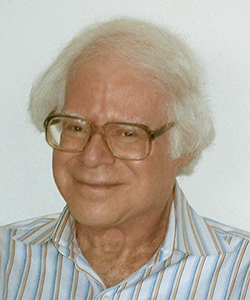 Dr. Julian Laderman is a retired mathematics and computer science professor (Lehman College, City University of New York). He is a two-time winner of the American Bridge Teachers’ Association Book of the Year Award, winning for A Bridge to Simple Squeezes in 2006 and A Bridge to Inspired Declarer Play in 2009. His recent book on the history of bridge, Bumblepuppy Days, received the Alan Truscott Memorial Award from the International Bridge Press Association in 2016. For many years he wrote the bridge column for The Bronx Journal. Much of what went on in the early days having to do with the players and the psychology and culture of the game still has much relevance today – an interesting read. An engaging delightful journey through the history of bridge, the emphasis being on how and why the game evolved from whist. The trick with any history is to include sufficient detail to illustrate the argument but to avoid burying the reader in that detail. Laderman does that skillfully, as well as leavening the detail with amusing, interesting or insightful anecdotes. Even those well-read in the history of bridge will find something new in this volume. History would be a more popular subject if schoolteachers utilized the humor and color that Laderman uses in discussing the curious and surprising aspects of bridge history. A most delightful account of the period from 1880-1940 -- from the glory days of whist to the mature state of its ultimate successor, contract bridge. Delightful reading. This is the most interesting book that I have read in a long time. I thoroughly recommend this book to all readers, not merely those who are interested in the history of the game. I so enjoyed this book! I say that as someone without the bridge skills to appreciate all it offers. There is so much to enjoy–gambling aspects of bridge, card games and their role in American social life. Just the evolving way choosing trump changed the game of bridge–all so interesting to me. Expecting only a dry examination of fossils, I found meticulous scholarship leavened with dry wit and whimsy, elaborate detail where necessary, and pithy capsule description where sufficient. Afterwards, I wished that I\'d experienced this retired math professor as a history teacher. The history of bridge is [entertainingly] brought to colorful light. A lovely gift for bridge history aficionados. For anyone interested in the development of modern bridge from its whist foundations (from whist to bridge-whist, to auction and eventually to contract bridge) it is both a scholarly and entertaining read. The author writes with humour but also a wonderful eye for detail and source reference.